A post-festive season catch-up with CTS pal Justin? 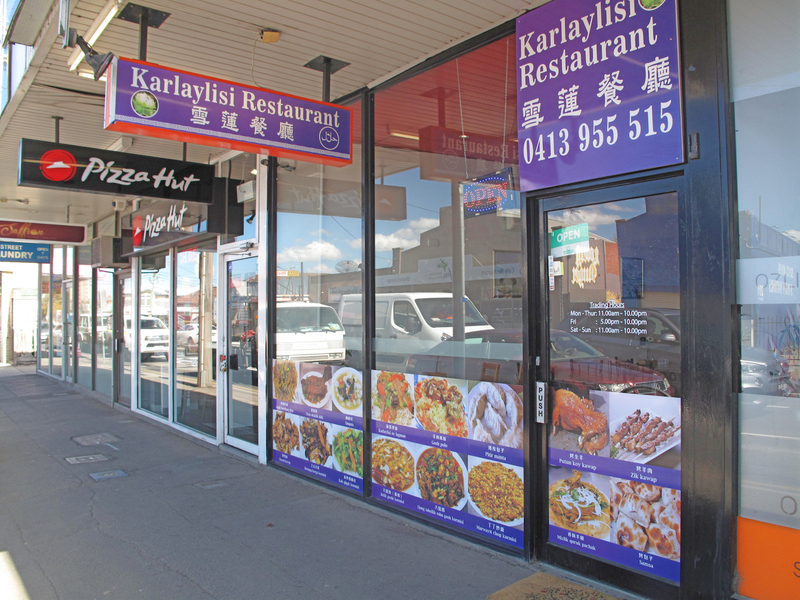 Sure, and why not at Karlaylisi Restaurant on Gordon Street in Footscray? Even if the postal/correct address is 4/203 Ballarat Road? Yes, we’ve been covered this place before – and not so long ago at that. 1. Its Uyghur cuisine is really good. 2. We’ve had good feedback from readers. 3. Nevertheless, we reckon more people should be hip to this place. 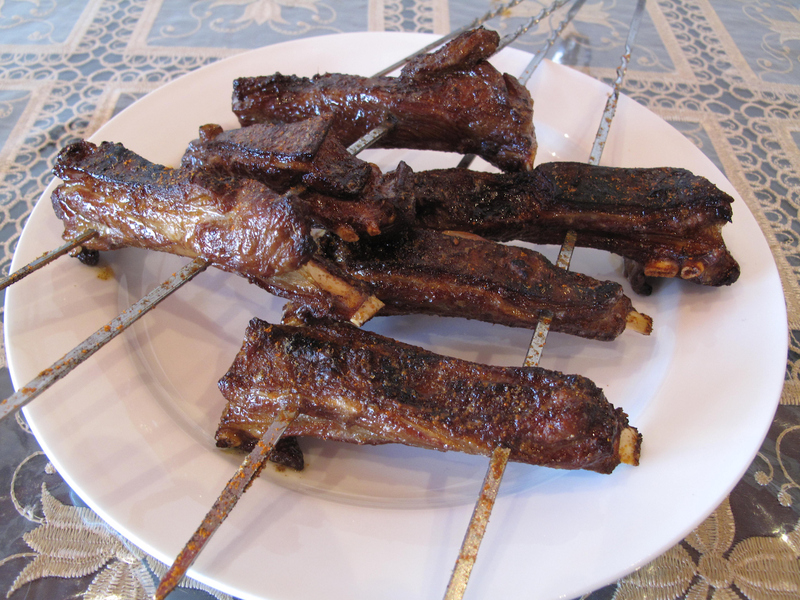 I persuade Juz to deviate out from our plan of a plateful skewers bearing cubed chunks of lamb. Instead, we go for the lamb ribs (top photo, three ribs for $6) – and have no regrets about it. They’re doused in the same cumin/salt rub as the regular skewers, but are a much more hands-on feed of gnaw galore – fatty, chewy and glorious. And, as anyone who has ordered lamb ribs at other venues will know, these are an incredible bargain. Not only do we get super noodles, we enjoy a soundtrack of robust thumping coming from the kitchen denoting yet more house-made, hands-on goodness. 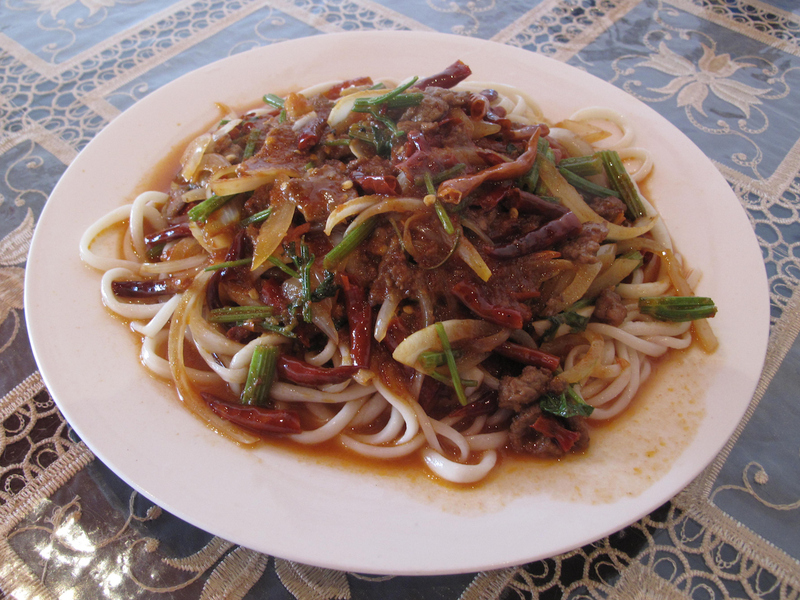 Aqqik gorush chopi kormisi $14.50) are those marvellously long noodles tossed with lamb, onion, bird’s eye chilli and celery. The dish is marked by a three-chilli warning on the menu – and it IS very, very hot. I enjoy the spice glow provided by the chillis while eating as few of them as possible. 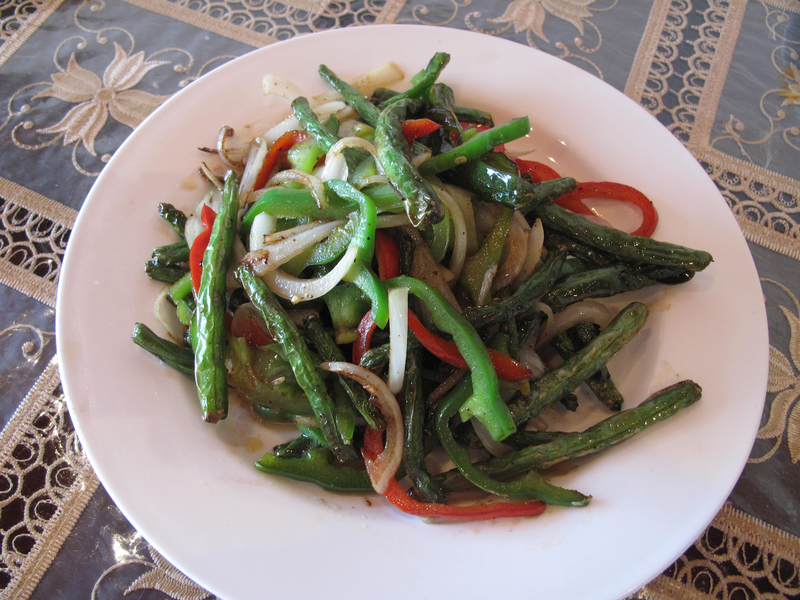 As a delightful contrast to the fattiness and explosive spice levels elsewhere in our meal, we love this simple dish of flash-fried green beans with onion and capsicum. Purqak kormisi ($14) is on the salty side, but is a crunchy treasure. This place is a gem. Thanks to you we found it. Anything lamb these people touch turn to magical dishes. The noodles are insane. Hi there! Thanks for the feedback. Yes, it’s very good! I hope more people start stopping by there so they keep going!